The home will be an approximately 3,500 square foot ranch-style home designed by Patrick Manley of Manley Architecture Group. The kitchen and bath have been designed by Mary Jo Peterson of Mary Jo Peterson, Inc. The home incorporates unobtrusive universal design, resource and energy efficient “green building” methods, advanced automation technology, a healthy home construction approach, and the design principles of feng shui. The finest craftsmanship and state-of-the-art products and services will be incorporated. Construction is anticipated to begin in the Summer of 2009 and end in the Summer of 2010. 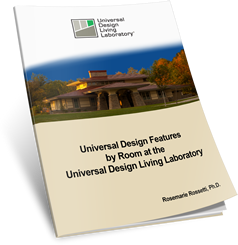 Here are some of the universal design features that will be incorporated in the Universal Design Living Laboratory. 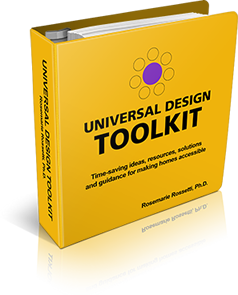 By incorporating universal design features into a home, your life and the lives of others who live with you on a permanent or temporary basis, will be improved.